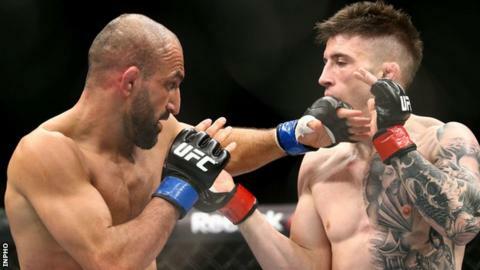 County Antrim mixed martial artist Norman Parke beat Swedish national wrestling champion Reza Madadi on a unanimous decision in Dublin. The judo black belt fighter demonstrated slick footwork and precise counter punching, as well as a much improved kicking arsenal to prevail. Parke continuously frustrated Madadi's offence in the night's co-main event. The Northern Ireland man achieved the first take down of the night in the final round on his way to success.